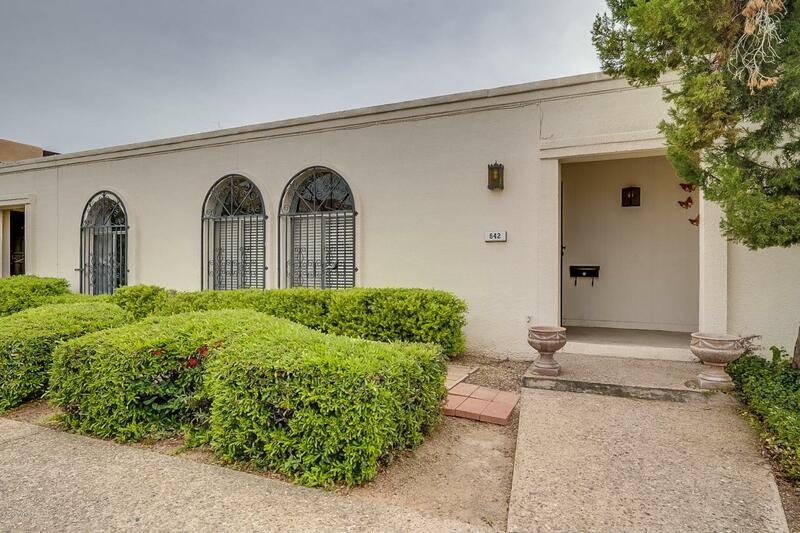 Light and bright 2 bedroom, 1 bathroom townhome in the heart of Tucson! 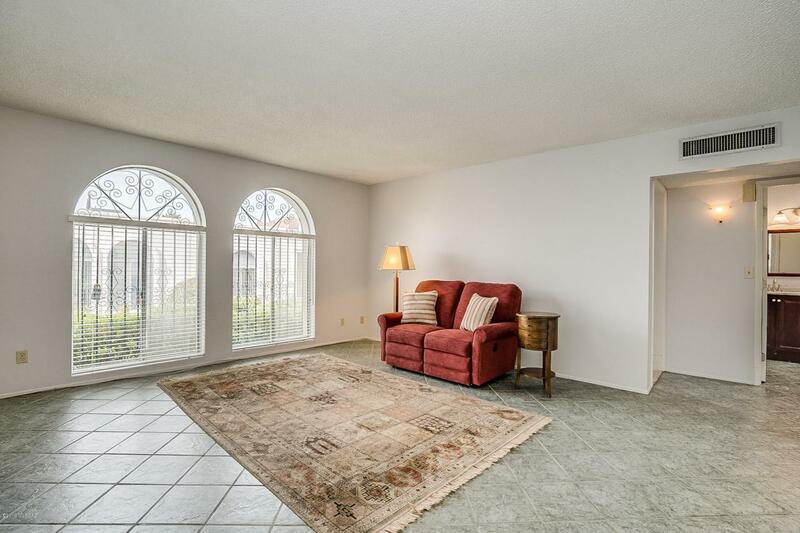 This freshly painted home has 965 sq ft and is mostly handi-accessible with wider door frames, all one level and exterior access from garage with no stairs. 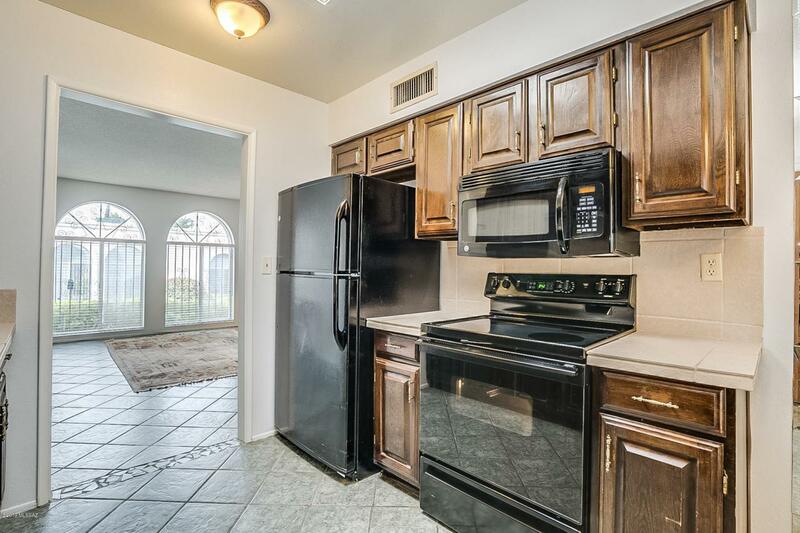 Kitchen is airy with skylight, tasteful tile countertops plus black appliances with dining area that has window to outside. This home has not one but THREE storage closets plus one bedroom has large walk-in closet with ample shelving. Bathroom has cultured granite countertops and shower surround an was recently updated with functional, wheelchair-friendly layout. 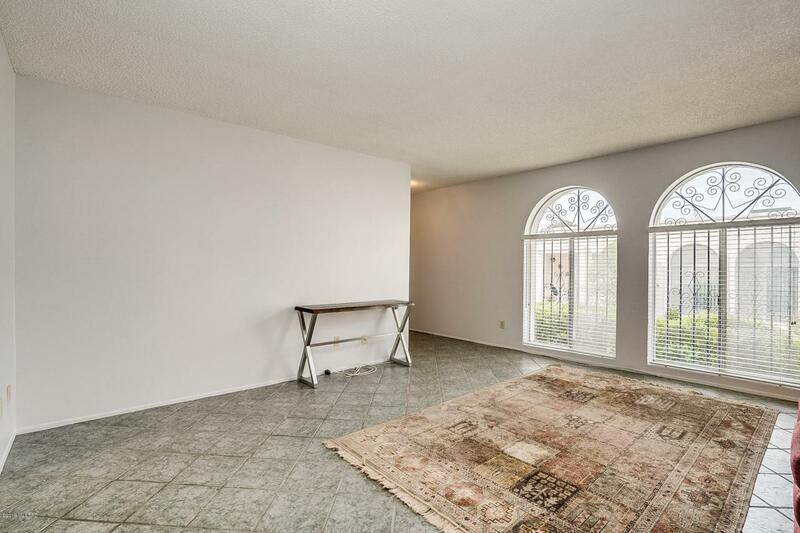 Extended length garage, perfectly manicured grounds, wonderful location-the list goes on and on.